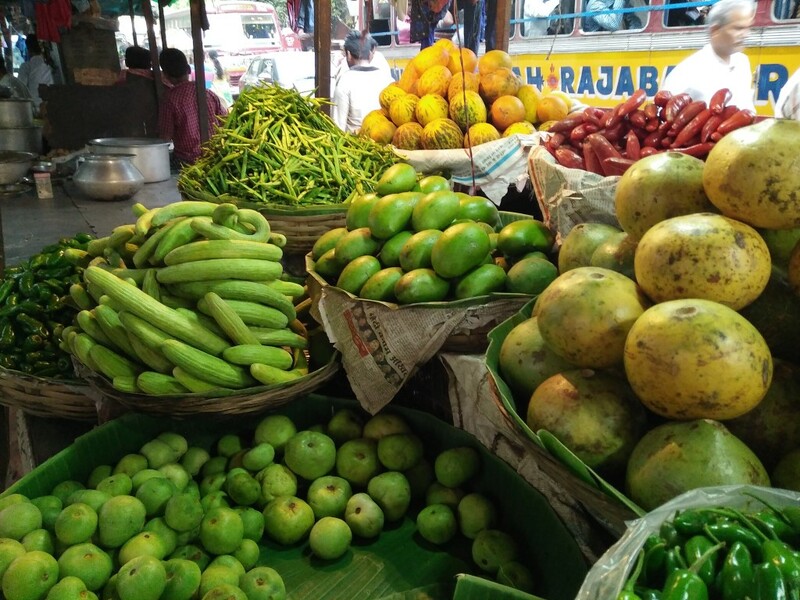 A Marwari by birth, I have been familiar with Burrabazar since I was a kid. 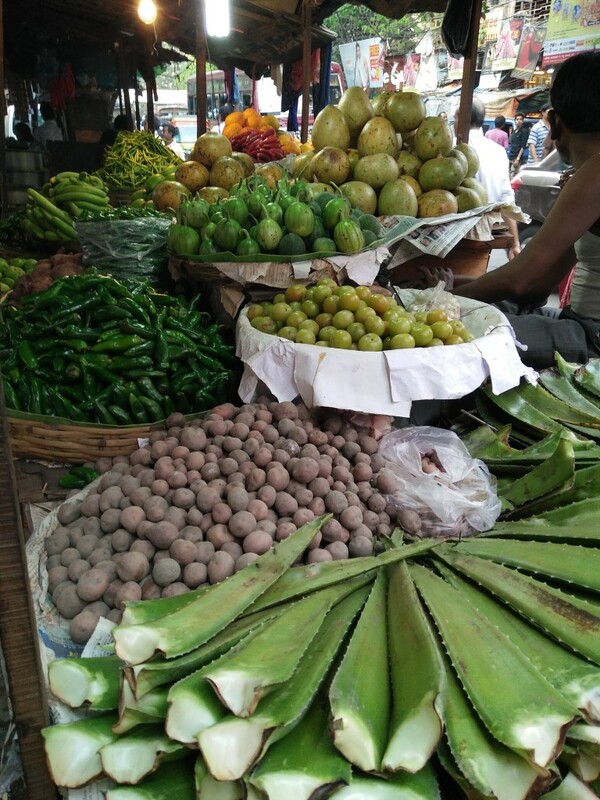 For the uninformed, Burrabazar is the commercial and economic hub of Kolkata – the largest wholesale market in the city. Its a place where one can buy literally anything at wholesale prices – spices, sweets, clothes, bridal wear, jewelry, spare parts, fruits, vegetables, you name it. But as good as it sounds, Burrabazar is a huge challenge to deal with. The place is a labyrinth of narrow lanes with shops in every square inch. The lanes are always crowded and bustling with activity. This giant machine is powered at the very core by thousands of mutiyaas – the human transport system that Burrabazar is largely dependent upon. Powered by the magical energy drink, Sattoo, mutiyaas carry giant amounts of weights on their heads and shoulders and navigate their way through the crowds, into the narrowest alleys, bylanes, up the stairs of buildings that are old, dark and dangerous. They push thelas and cycle vans with God knows how many tons of weight and never fail to deliver. Burrabazar provides livelihood for millions – from the mutiyaa, to small time traders, trade tycoons, havala kings, to simple money lenders. This place is nothing less than ground zero – where the fight and struggle is about making more and more money. 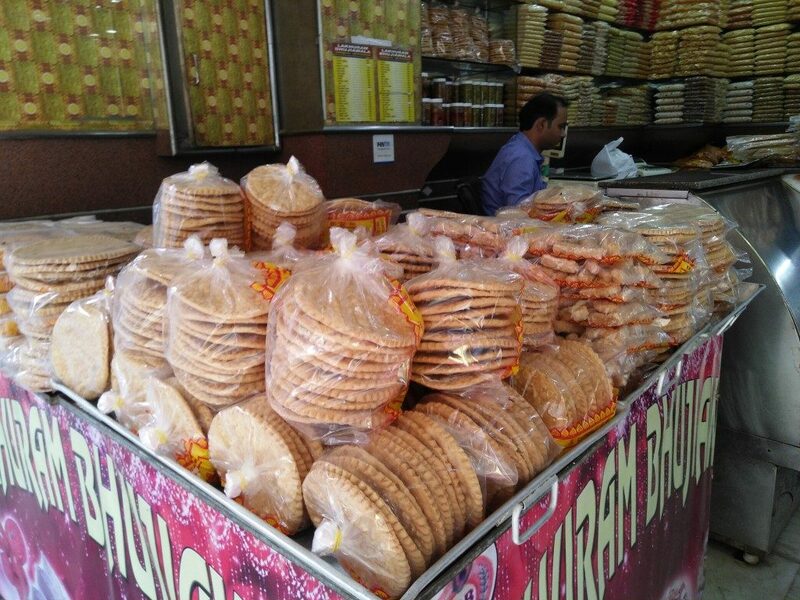 For every marwari family including mine a monthly trip to Burrabazar is essential. 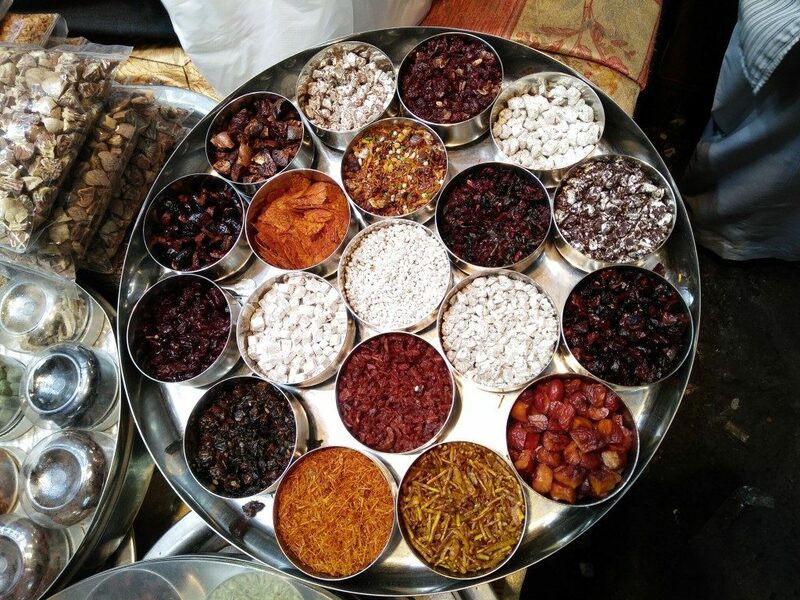 That is where we get our specific blends of spices, bhujiya, papads, pickles, dry fruits and other household supplies which are hard to find otherwise in the rest of the city. I have made a number of trips to Burrabazar with my mother but to be very honest with you, I don’t like going there. There is no option but to walk through the entire place from shop to shop, and the streets are so full of people that walking without getting constantly bumped into is considered an achievement. The nooks and corners of every street are coated with layers of red pan masala spit and there is not much of a garbage disposal system in place here. Spotting rats the size of puppies is not rare and the buildings – residential as well commercial are unsafe to say the least in terms of age, fire hazards and poor construction. One day of shopping in Burrabazar tends to drain the life out of me. But I am in no way demeaning the place. It is an essential organ of the infrastructure of our city and I have immense respect for those who work and live there, in difficult conditions. I usually look for reasons to avoid going there. But the only motivation for me to go to Burrabazar is the most delightful street food that this place has to offer. 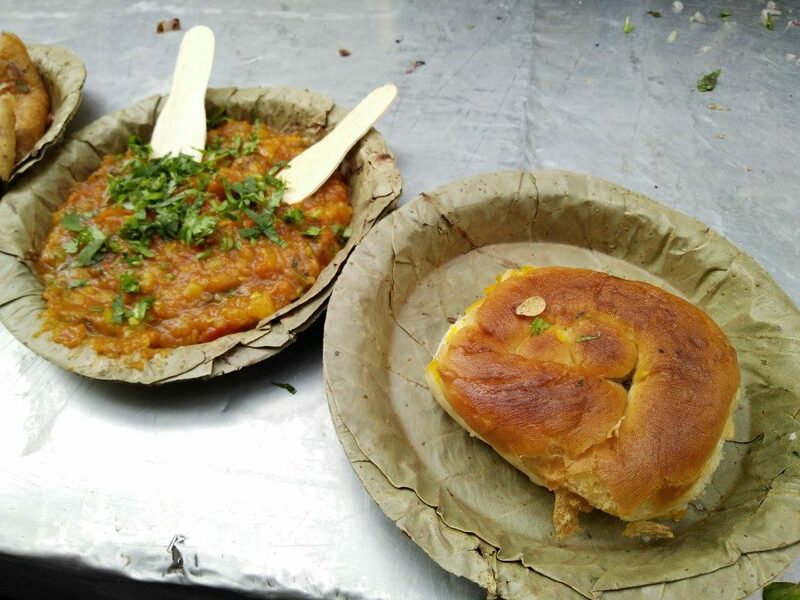 Everytime my mother wants me to come with her, she assures me how she is going to take me to Kalakar street for Puchka, Pao Bhaaji, Chilla and Jhaal Muri and the foodie inside me refuses to hold back because the taste and flavour of Burrabazar’s street food is unmatched. 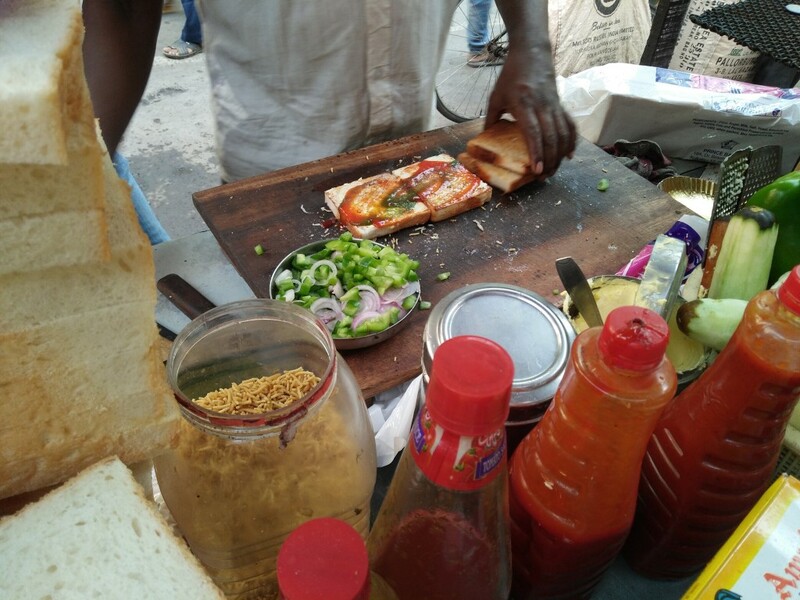 In this post I am going to give you an insight into the kind of street food Burrabazar, or more specifically Kalakar Street has to offer. 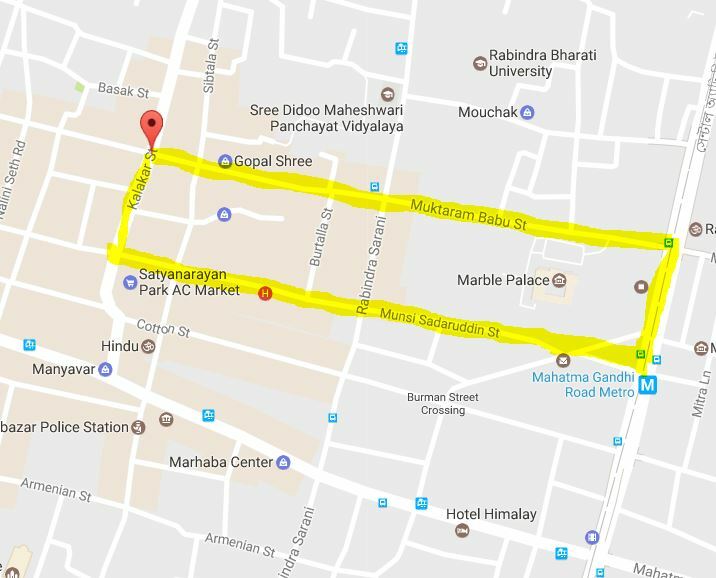 There are a few ways to get to Kalakar Street. If you don’t know the area well, I will suggest you to keep Google Maps open on your phone. 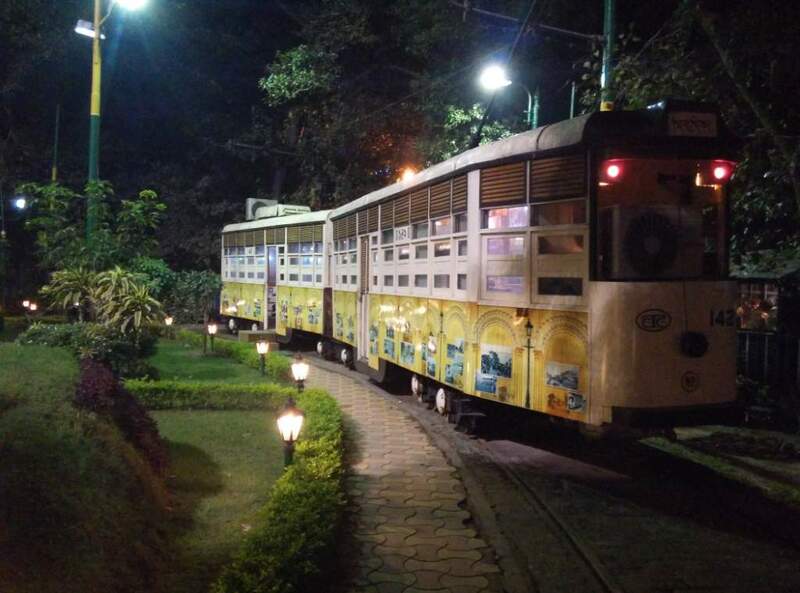 Bus – Board any Bus plying between Sealdah and Howrah and get off at Burrabazar Police station and walk. Metro – Get off at M.G Road metro station and walk. Cab – An app cab will be able to drop you till Marwari Society Relief Hospital. Get into the lane bang opposite the hospital which leads straight to Kalakar Street. Always ask for directions if you are confused. The importance of Chai, Chaa or Tea is best known to us people of Kolkata. Born and brought up in south Kolkata I am someone who can spend hours at a tea shop sipping cups of likaar chaa over adda with friends. But there is something entirely different about Burrabazar’s khullar wali chai. Made with full cream milk, the chai in Burrabazar is bursting with flavors of ginger, cardamom, cloves and if you ask for it, you can help yourself to a steaming cup of premium Kesariya chai for a little extra money. This tea here is like a little treat – thick, milky, sweet and aromatic. It provides a certain sense of fulfillment to the body. Available in different sizes and priced between INR 5 and 50 depending upon your choice and served in Khullars or clay cups, there is something about the Burrabazar chai that is unique and that taste is just not the same anywhere else, not even at Sharma tea or Balwant Singh’s Dhaba(which in my honest opinion are exorbitantly over priced and under performing). 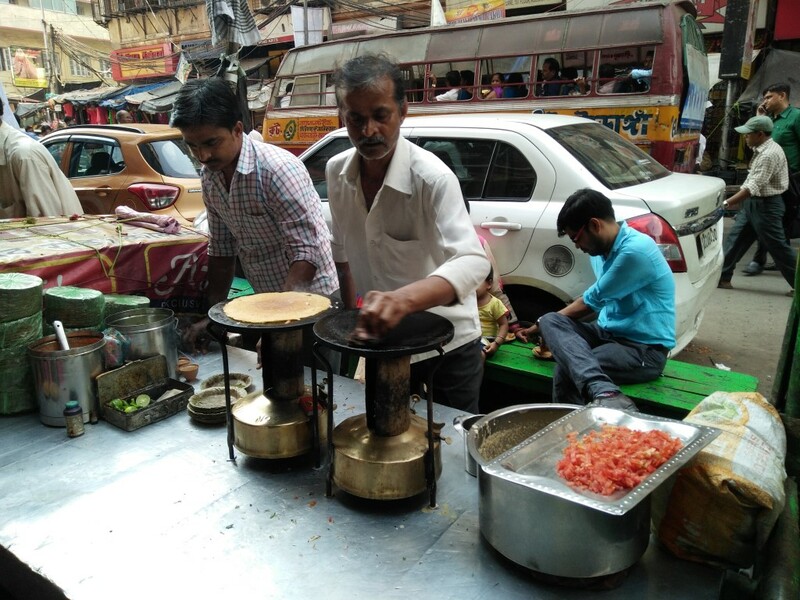 Find your ideal Burrabazar ki Khullar wali chai at Bapu Tea Stall, at Kalakar street. 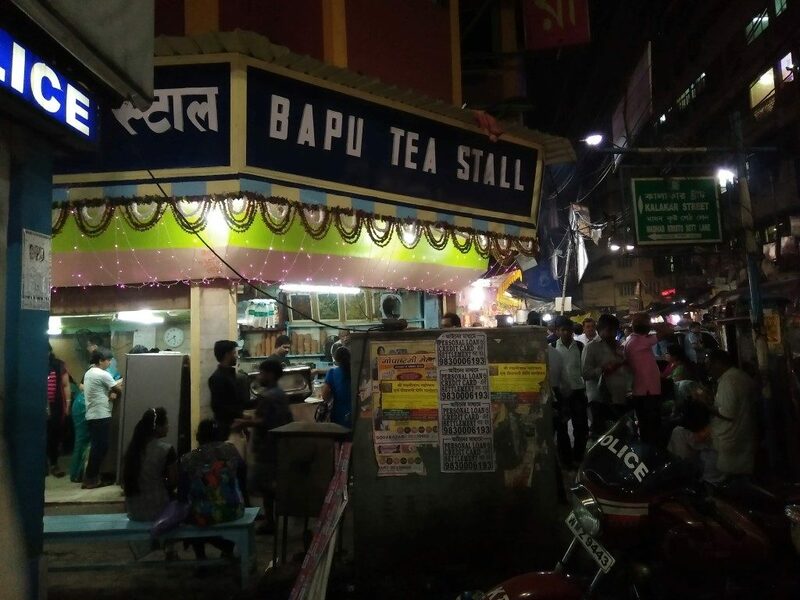 Bapu tea stalls also serves Dosa, Idli, Samosa, Kachauri – sabzi, Raj kachauri and a number of other snacks but the tea is the real star. 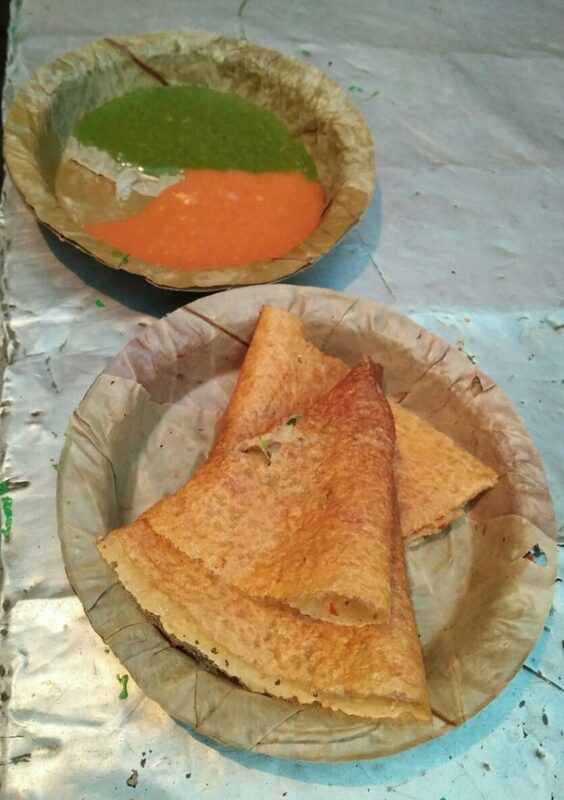 The dosas are good but the Raj kachauri I had on one occasion was a bit below average. The specialty of Burrabazar tea is that you are given a freshly brewed cup every single time everywhere in every tea stall. . The tea is never stored in a thermos because the demand is so high that there is no need of storing and selling the tea. 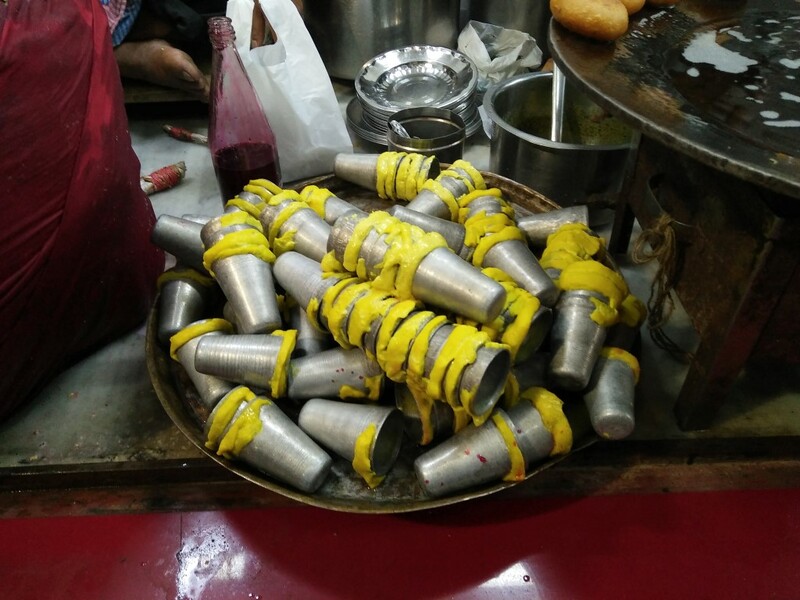 Fresh, fragrant and fantastic, the khullar wali chai at Burrabazar is an absolute delight. 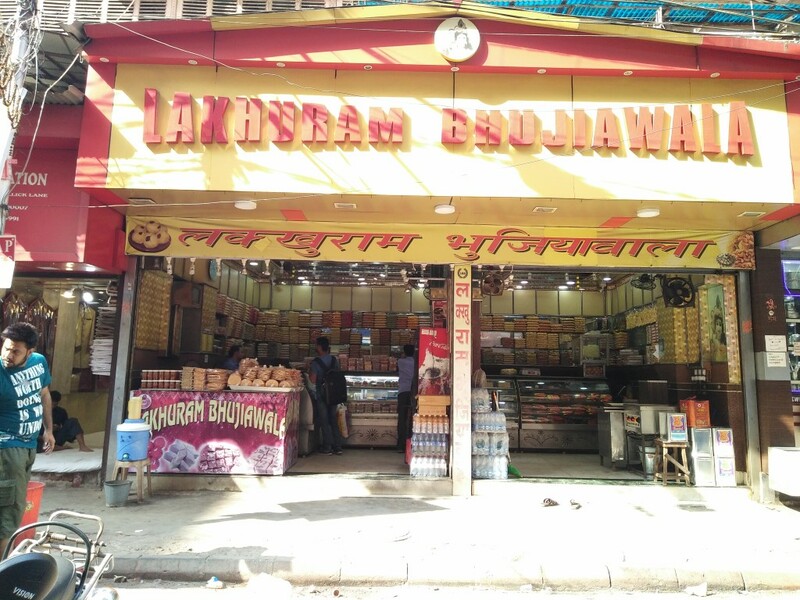 On the opposite foot of Bapu tea stall is a Sweets & Snacks store called Lakhuram Bhujiyawala which sells sweets but majorly savories such as Bhujiya, Suhali, Khakra, Chanachur, etc. However their most popular and fastest selling preparation is the Gaanthiyaa. 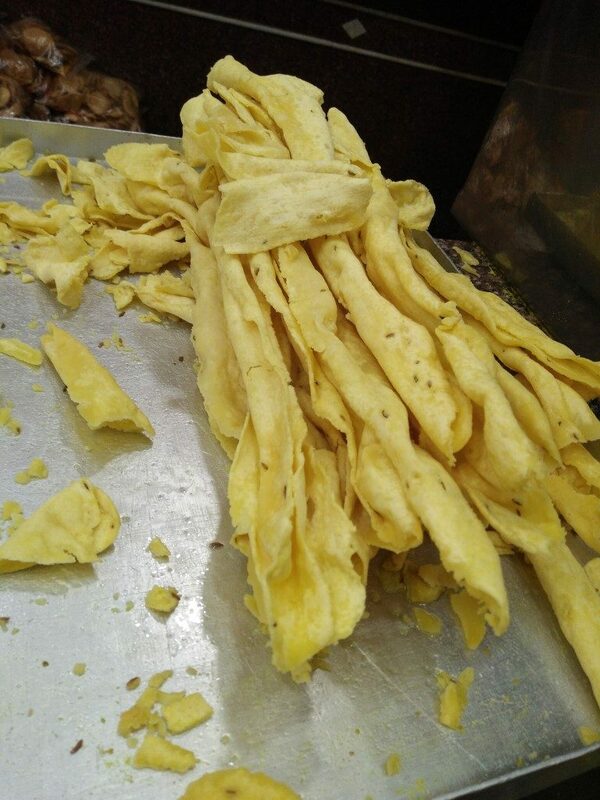 Gaanthiya is a Rajasthani snack, made from rolling out soft besan dough into flat strips and deep frying them in oil. The dough is flavored with salt, tumeric, carom seeds or ajwain, cumin seeds and red chilli powder. Gaanthiya is usually served with a tangy, grated raw papaya chutney which is tempered with mustard seeds and green chillis. The Gaanthiya strips are not very crispy and neither are they soggy. They are very brittle so you need to handle them with care if your order is for take away or else by the time you reach home you will be left with a bag full broken gaanthiya pieces the size of peanuts. 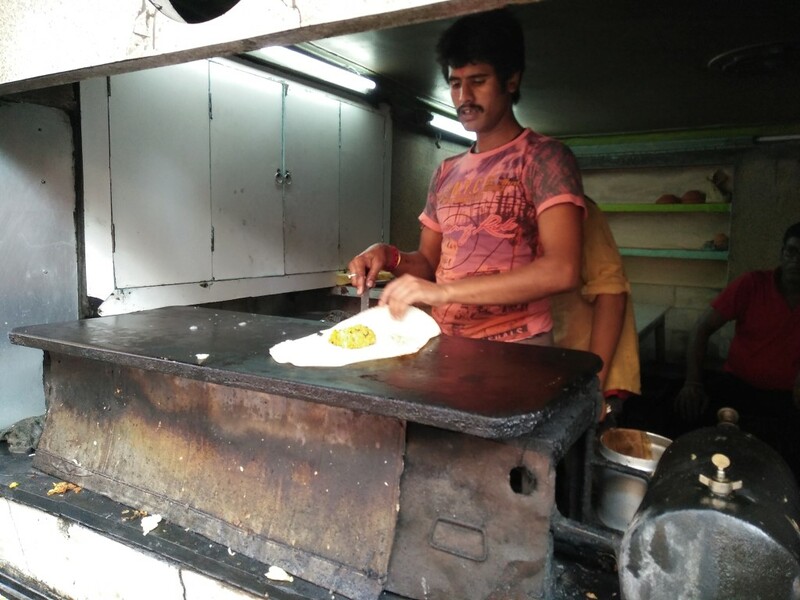 Lakhuram Bhjiyawala used to manually roll out Gaanthiya strips which was a time consuming process but recently they have installed an automatic gaanthiya rolling machine which is super fast and one doesn’t need to wait very long for their order to arrive. 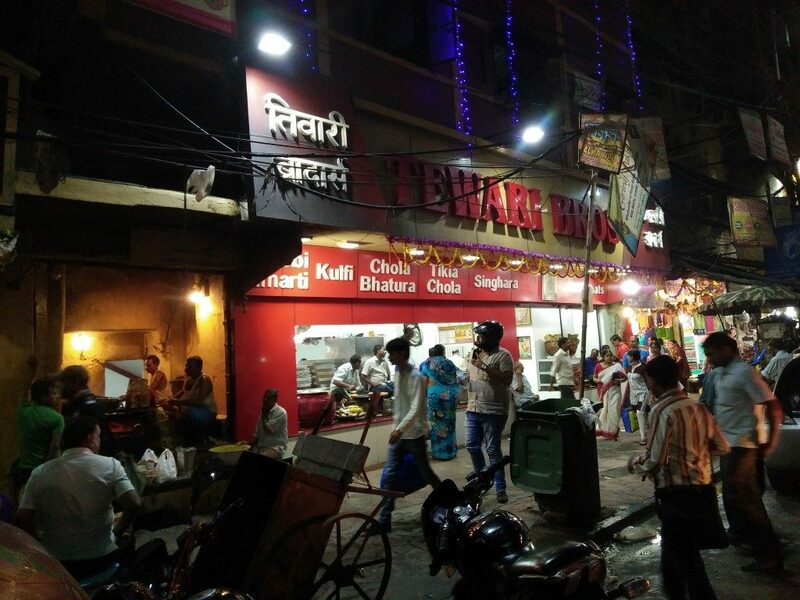 The very word Tewari lights a dozen bulbs inside the head of a Marwari in Burrabazar because Tewari is where you get the best Jalebis, Samosas, Sabzi- Kachauri, Aloo- Tikki and Kesariya Kulfi in town. 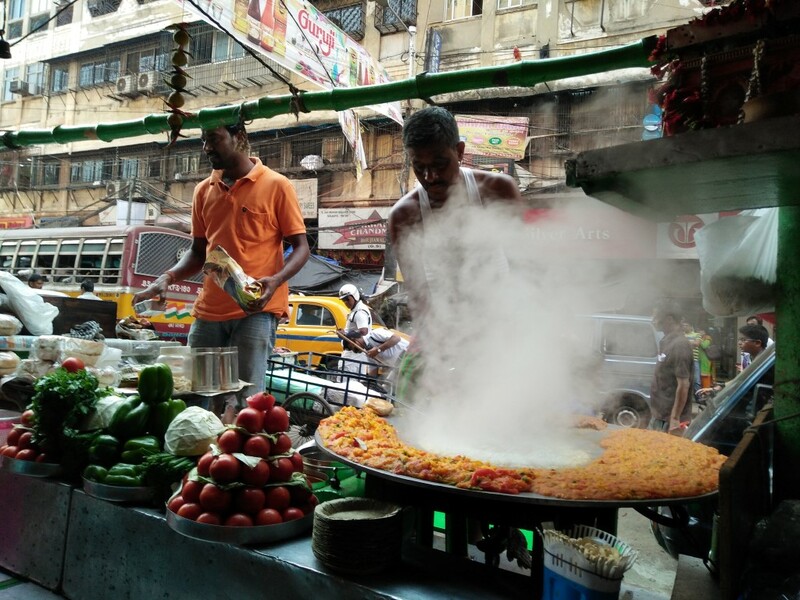 Just ahead of Bapu tea Stall is the oldest and busiest Tewari stores in Kolkata. 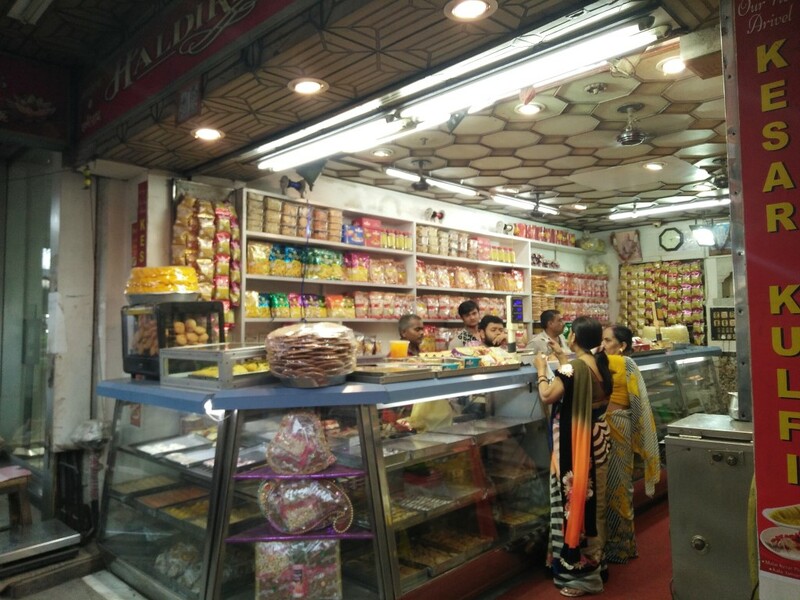 It is also one of the first places in Kolkata to use an automated cash register and the first to introduce the pre paid token system of food, where one would need to buy poker chip-like tokens in different colors and then go the respective counter to get their food. That system is still very much in use today. 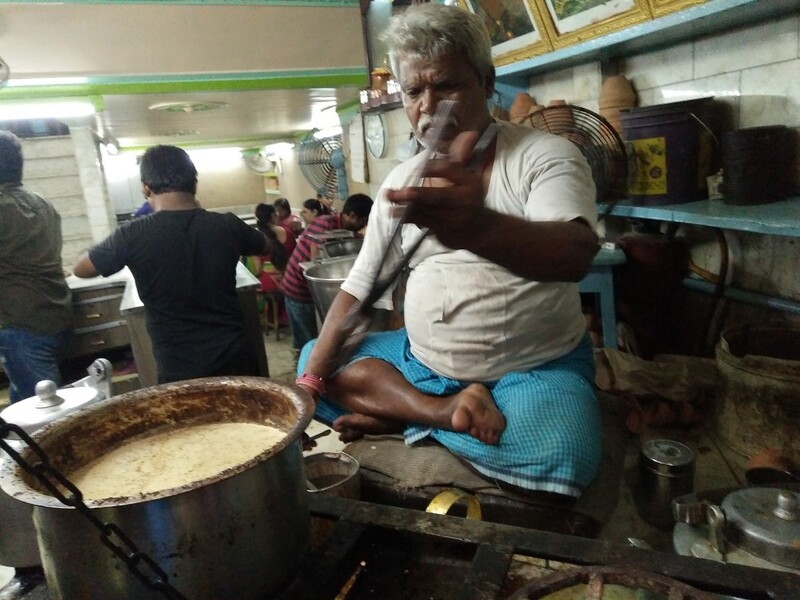 They have gigantic stoves with equally gigantic woks full of desi ghee constantly yielding kilos and kilos of jalebis and samosas, manned by hard working and experienced halvais who work round the clock to meet the demands of customers who patiently wait in queues for their turns. Jalebis are dunked in a thick sugar syrup or chashni and garnished with saffron and cardamom powder. The samosas which are also known as the ‘marwari samosa’ have a blackish stuffing on the inside because the potatoes are completely mashed and roasted in a big wok before being laced inside out with garam masala which gives it the black color. The mix is then stuffed into maida dough, shaped and deep friend in Ghee. The samosa is crispy, crunchy and very spicy. I love having my cup of Kesariya Chai from Bapu tea Stall accompanied with a Samosa from Tewari. For a heavier meal-like option, you can go for sabzi kachauri – small club kachauris served with a spicy potato sabzi. For INR 30, its a decent and filling meal. Just ahead of Tewari, on the footpath the next thing you will notice is a lot of noise and steam coming from rows of Pao Bhaaji vendors which are constantly calling out to you as you pass them to come try their food. The Bhaaji is fresh and the Paos are toasted in masala butter. A single serving is priced at INR 30. 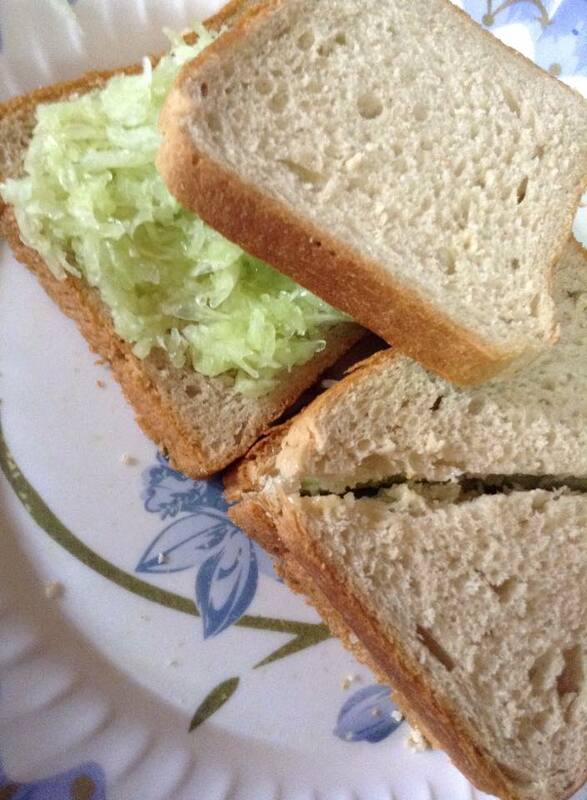 Make sure to ask for onions on the side in case they dont give them to you in the beginning. The seating arrangement is on benches on the footpath. The stall owners are helpful and will give you a place to keep your shopping bags in case your hands are full. Sandwiched between Pao Bhaaji stalls is my absolute favorite Chilla Wala. The guy has been around for nearly 25 years and his Chillas are the best in town without a doubt! 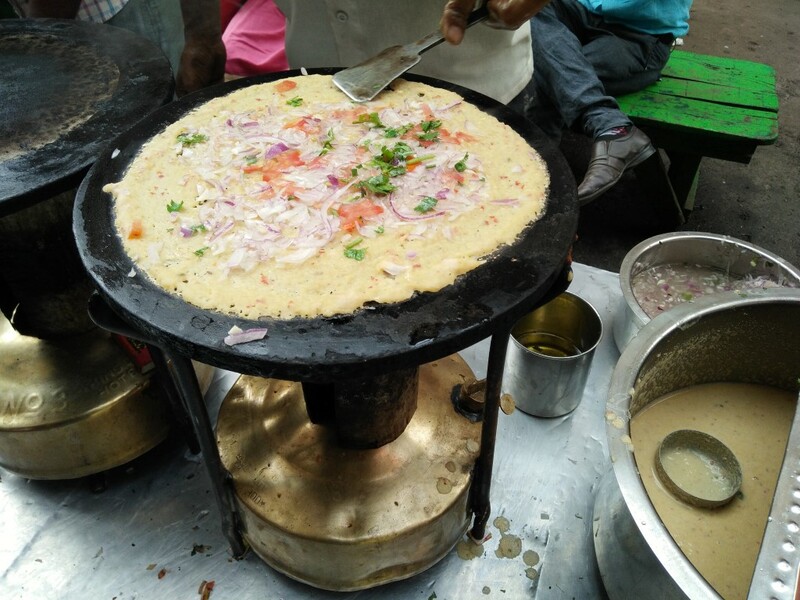 A chilla is very thin pancake like preparation, a little thicker and smaller than the usual dosa. 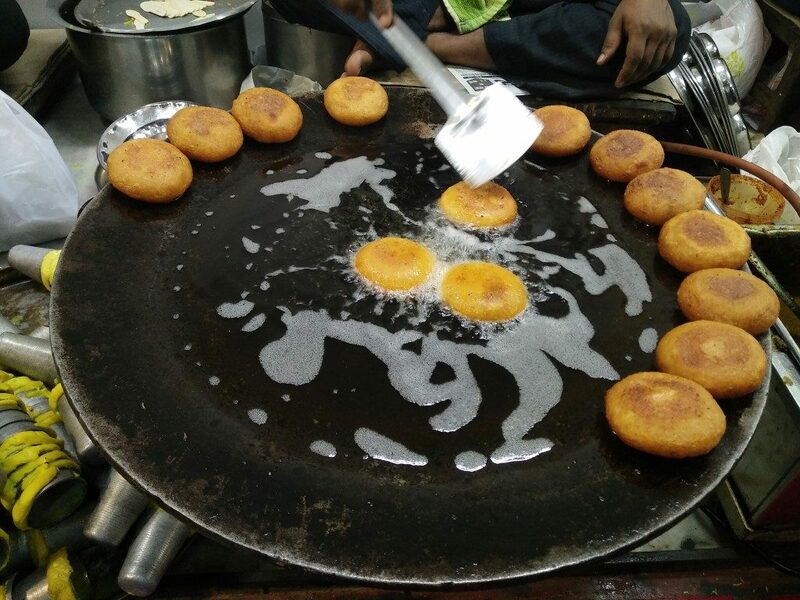 The batter is basically a paste of moong daal with some spices like red chilli, ginger, hing, salt etc. This particular vendor has two stoves and works with both hands, making about fifty chillas an hour during peak hours. His Chillas (INR 25) are extremely soft and garnished with onions, tomato and coriander. But the real show stopper are his coriander and chilli garlic chutneys and I really want to describe the taste to you but I cant because you need to experience that taste for yourself. 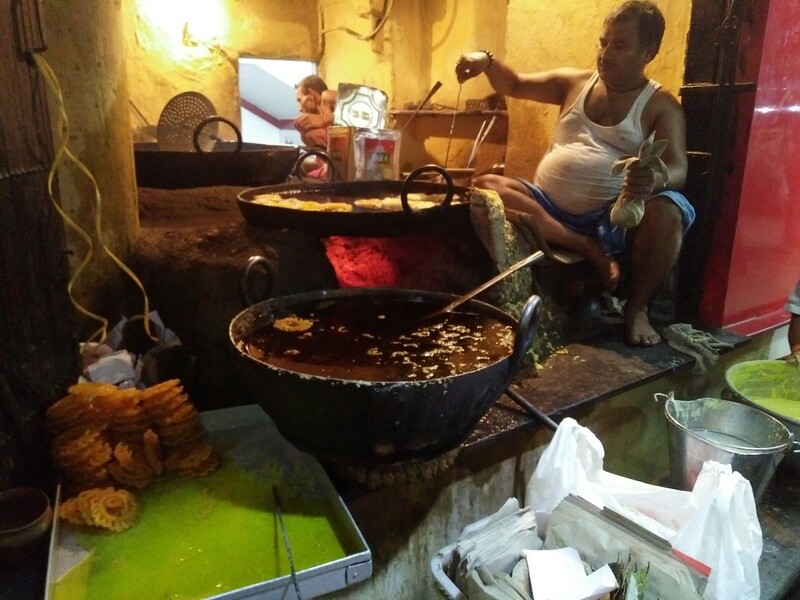 I have had chillas everywhere across the city, from New Alipore, Vardaan Market, Lord Sinha Road and Salt Lake but none are as good as the Kalakar Street Chilla. 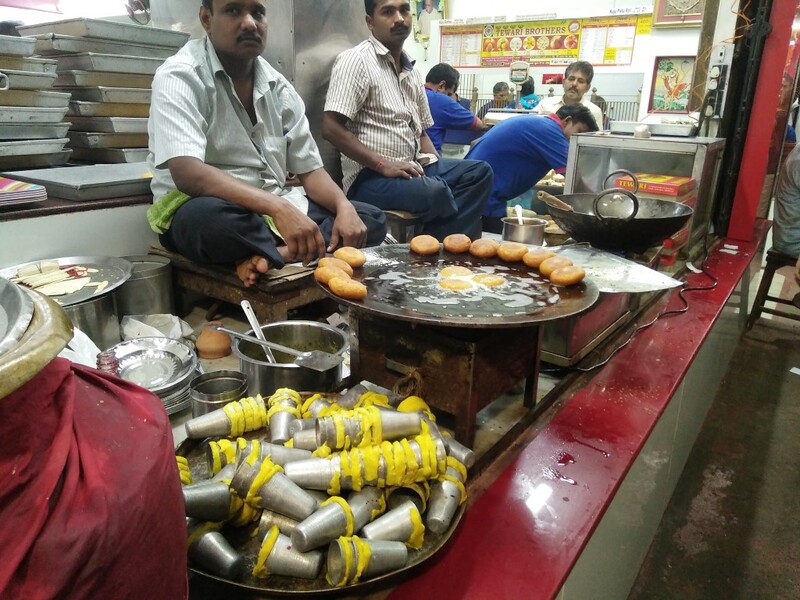 The sausage shaped Sooji Puchkas are rarely found in our city. They are more common in Delhi, Noida and Gurgaon etc. Unlike the regular puchka which is stuffed with mashed potatoes, the sooji puchkas are stuffed with a mix of diced potatoes, green chilli, coriander, cumin powder, black pepper without any chana or matar. They are served with ice cold pudina paani which is thicker than regular puchka paani and with a sweet tamarind chutney. 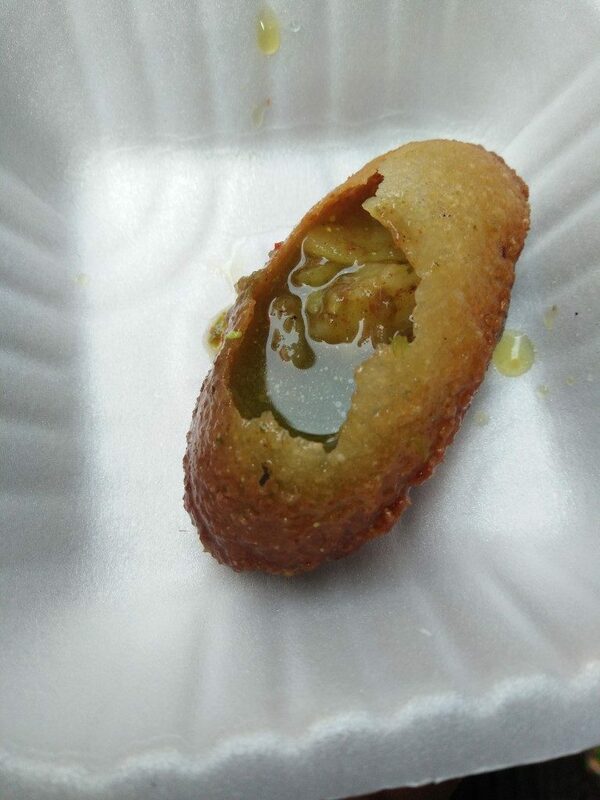 I have mentioned this puchka in one my older posts and you can read it here. 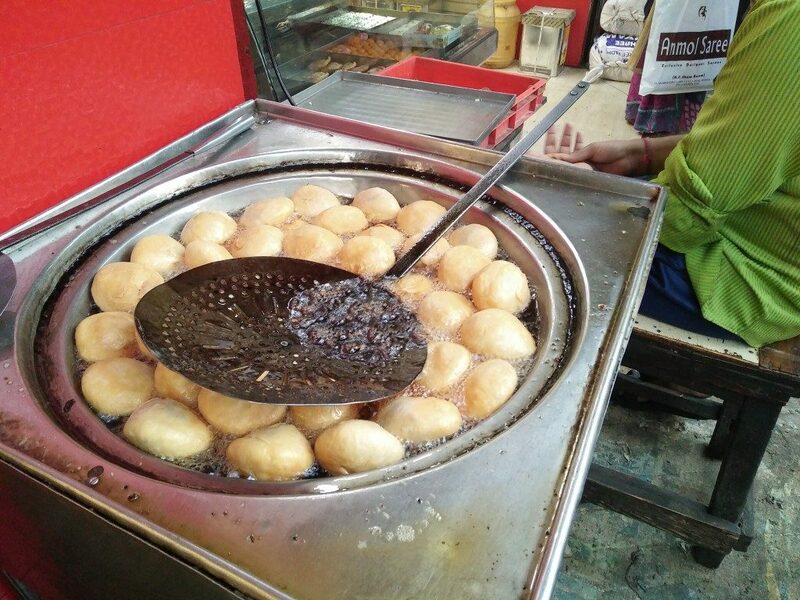 There is only one vendor in the whole of Burrabazar who sells this particular kind of puchka and technically this is not on Kalakar street but you can find him near Shishu, in Banstalla, which is right off Kalakar Street and you can ask your way around easily. 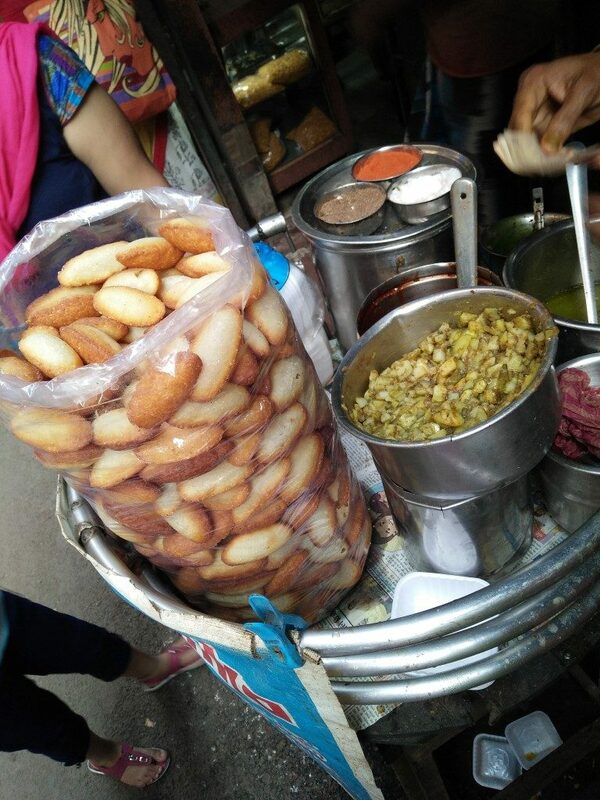 The regualr puchkas of Burrabazar are also famous and almost all Puchkawalas serve the same kind of puchkas, stuffed with mashed potatoes and bengal gram with pudina paani. 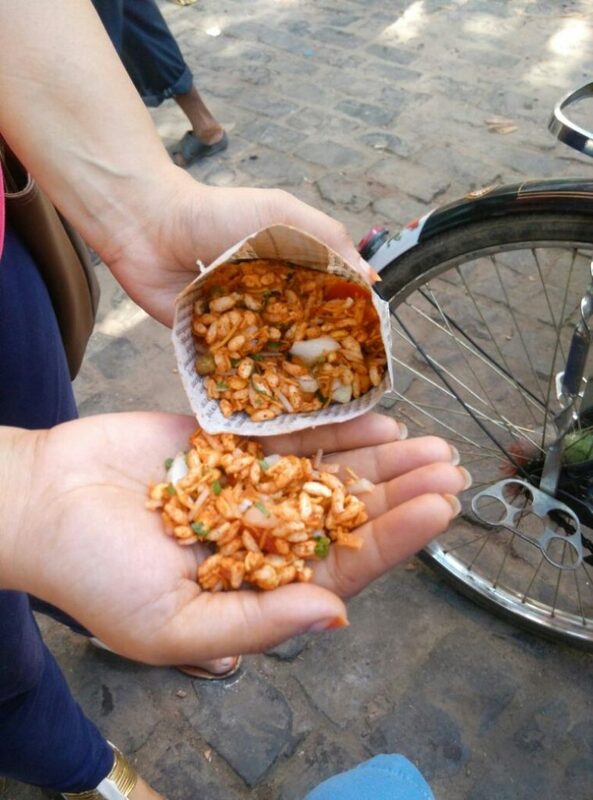 Out of all the items I have mentioned, the jhaal muri is one thing that is an on the go snack. 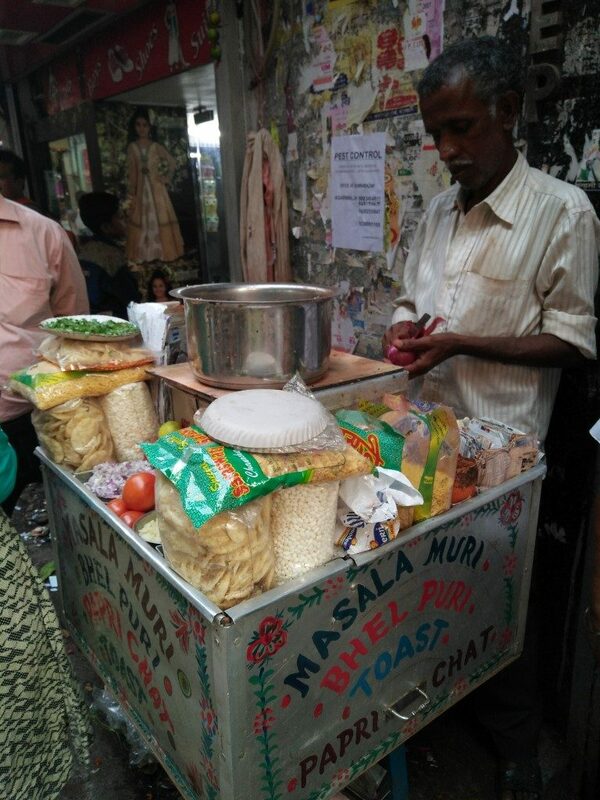 All throughout Burrabazar, you will see countless mooriwalas stationed at various points with their aluminum boxes making jhaal muri at lighting fast speeds. From Bhelpuri, papri chaat, bread chaat, batata puri, samosa moori to the regular jhaal muri, everything is priced under INR 40. My personal favorite is an extra spicy, extra tangy jhaal muri with the mandatory red sattoo ki chutney(which not all vendors keep) and everytime I am at Burrabazar I end up eating Jhaal muri at least three or four times in one day. 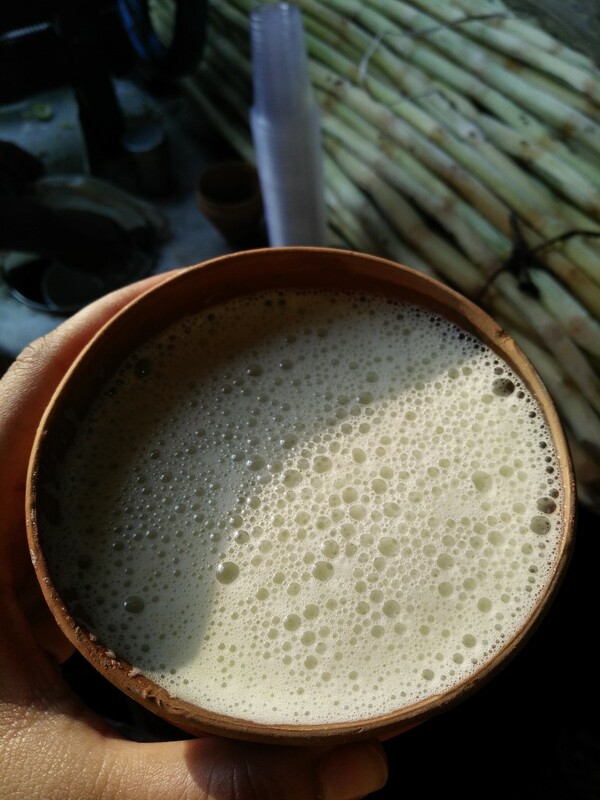 There are plenty of options to hydrate yourself with at Burrabazar, like thandai from Guruji Thandaiwala near Tewari, or Lassi from various sweet shops in Bartalla which are also famous for their snacks and samosas but my top choice is always Sugar Cane juice or as we call it Ganne Ka Ras. 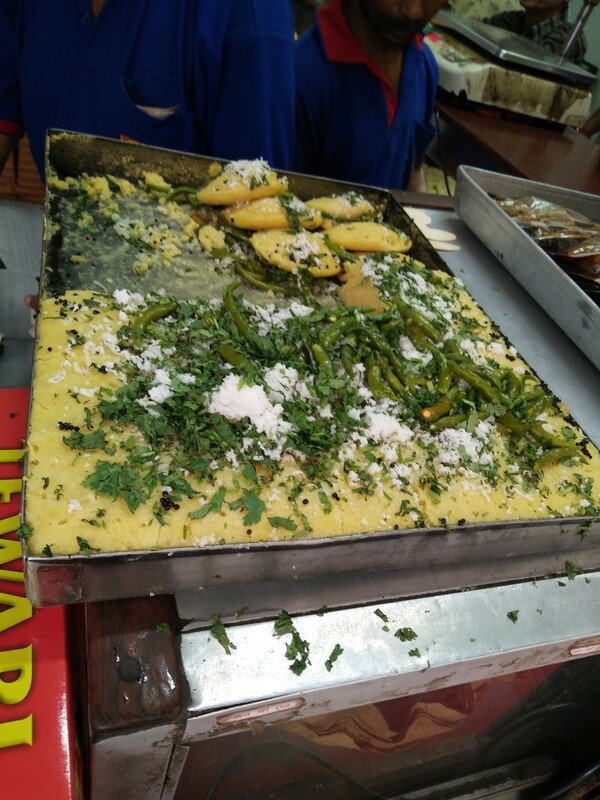 You will find Sugar Cane Juice vendors everywhere and for just INR 20 you can quench your thirst with a refreshing khullar full of ganne ka ras with a dash of lemon juice. 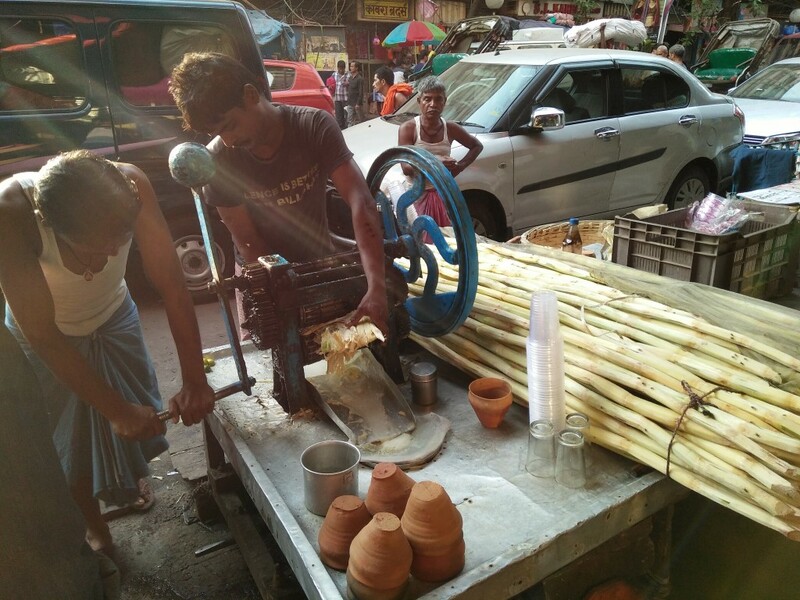 Two men at work at a sugarcane juice cart. Just ahead of Satyanarayan A.C market, is a Jain Temple from where the road bifurcates into two parts. The lane on the left takes you further into Burrabazar towards Bartalla, Baanstalla etc while the one on the right leading to M.G Road goes through Supari Gali, and Kaali Godaam. 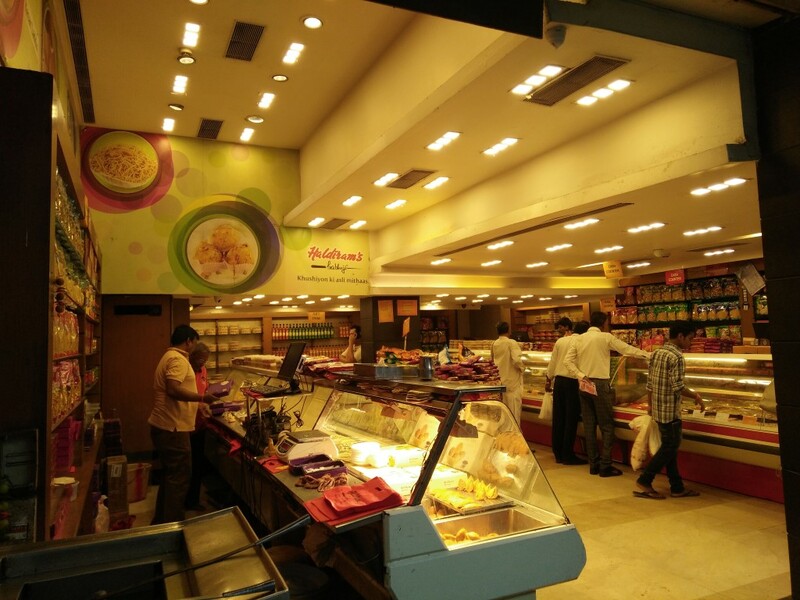 Kaali Godaam is on of Kolkata’s largest manufacturers of Desi Ghee Boondiyaa, Pedaa, Laddoo and Agre Ka Petha. 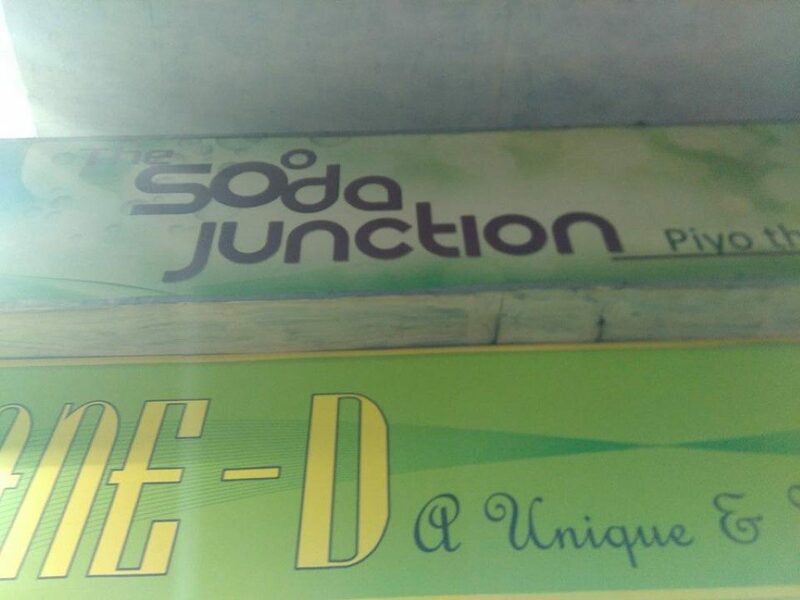 At the Jain Temple-Kaaligodaam crossing is Soda Junction – a modern sugar cane juice store. 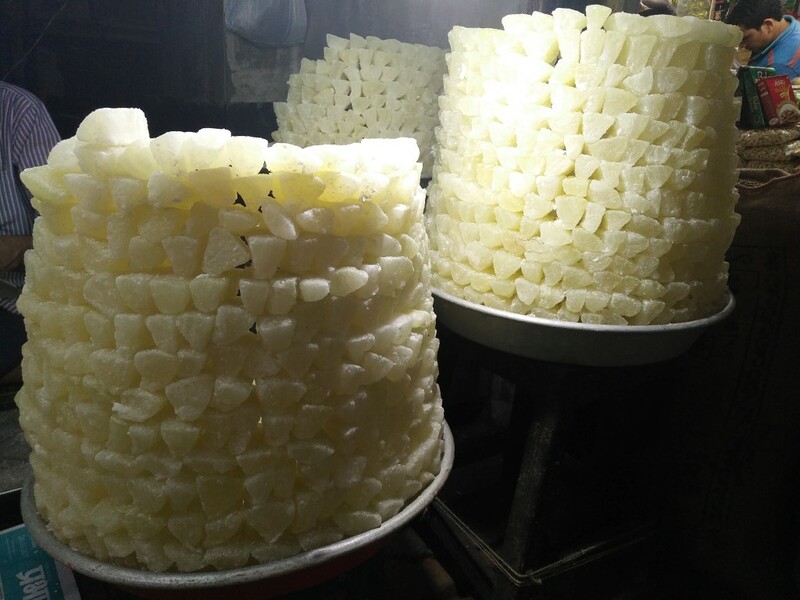 They store their sugar cane stalks in a large refrigerator and use an automatic machine to juice the canes as per demand. 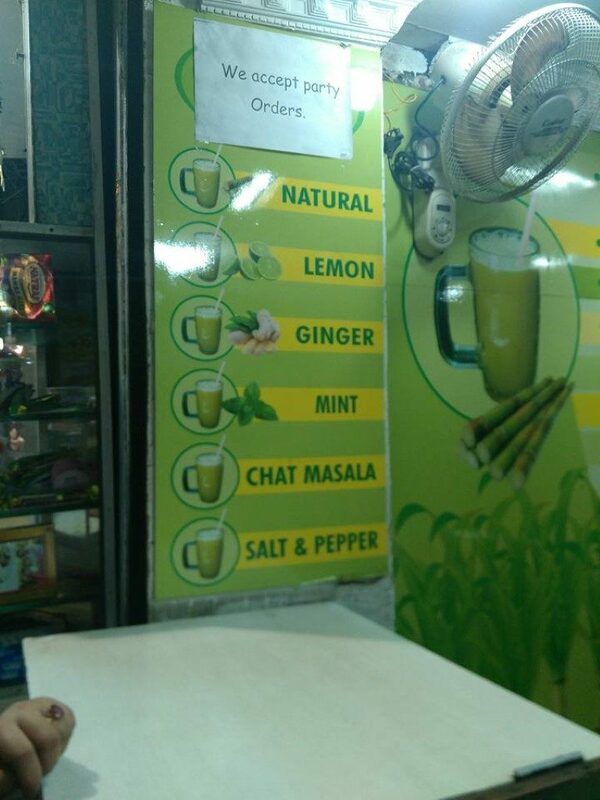 Available in numerous flavors like lemon, ginger,mint, chaat masala etc, this is a more hygienic option and a normal medium size glass of sugar cane juice is priced slightly higher than the regular vendors, at INR 30. They also have light bites on the menu like corn chaat and veg sandwiches in case you want to eat something with your juice. 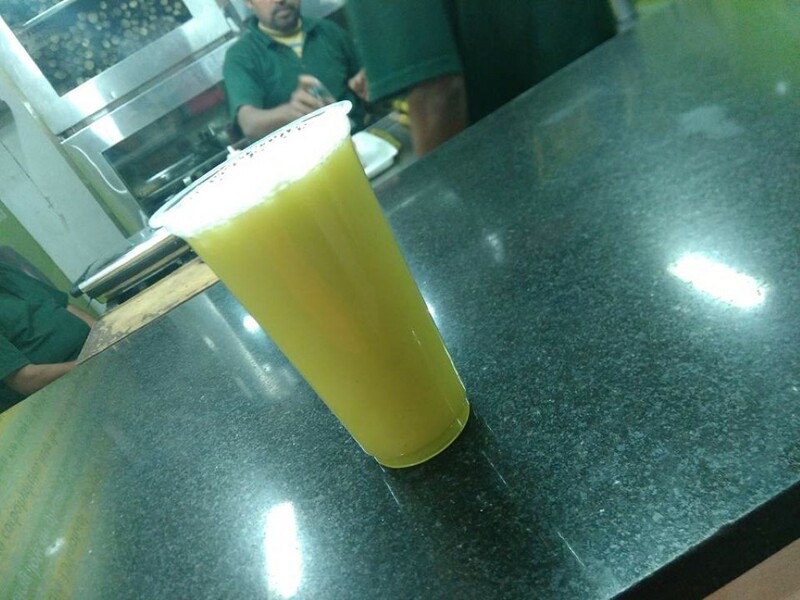 In my honest opinion I will any-day prefer Soda Junction over other vendors for sugar cane juice not just for hygiene reasons but because they don’t store the juice unlike other vendors (sugar cane juice tends to change color and taste very fast if stored) and you get a fresh serving every time. 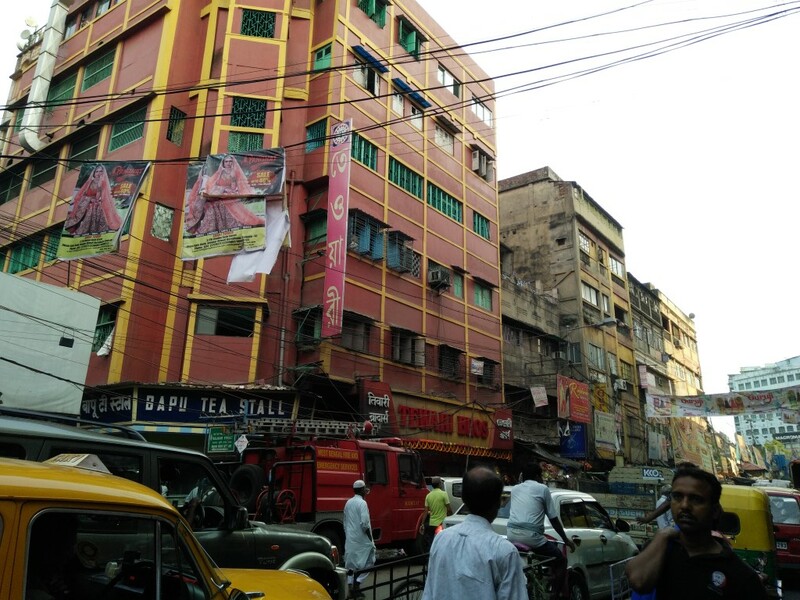 This post about Kalakar is just the tip of the iceberg that Burrabazar is. Despite this being one of my longest and most descriptive blog posts I still feel I have not done justice to this unique eat street. There is something unique or interesting to eat and drink at every nook and corner and it is very difficult to put everything together in a single post. 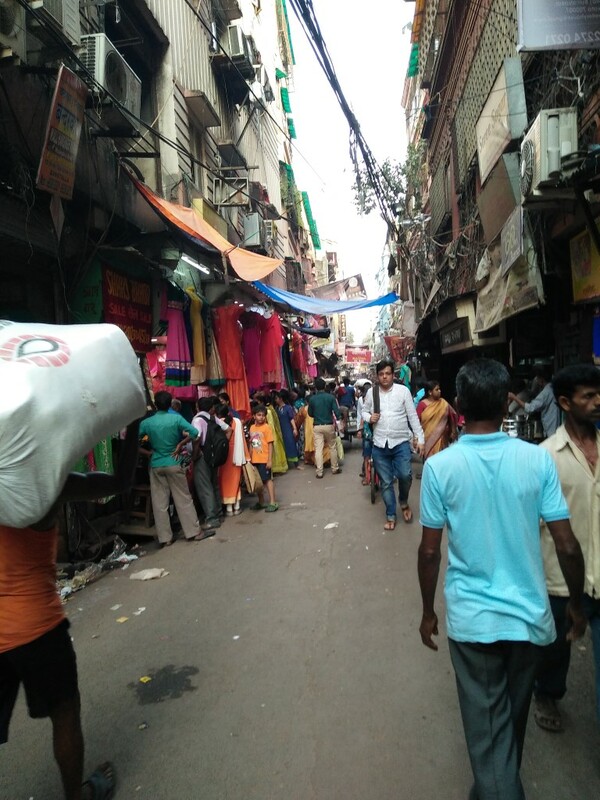 For people who are unfamiliar with the place, Burrabazar is difficult to deal with. 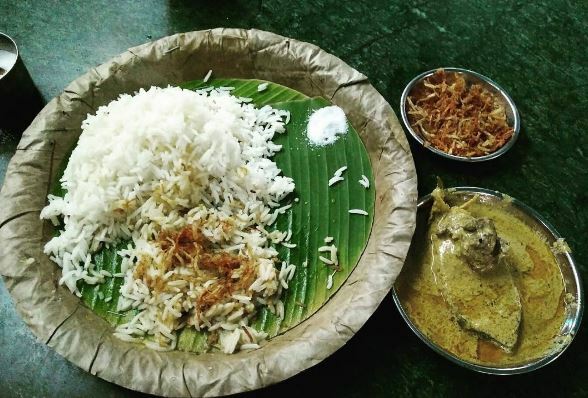 Getting in and out is not easy but if you love Calcutta’s street food, then Kalakar Street in Burrabazar will never disappoint you. Superb writing. Written with much flair. Enjoyed reading. So far I have read two of your pieces, one on Burrabazar and the other on Pice hotels. I was familiar with Burrabazar as I went to college on College Street, but that was a long time ago. Your piece on Pice hotels fascinated me as I have never been to one and the food looked smashing. Thank you for sharing, much appreciated. Appreciation means a lot. Thank you for your kind words!